Metro Atlanta home builder, Traton Homes, will soon build seven luxury Cobb County homes in Estates at Ellis Wade in Smyrna. Originally built in the 1950’s and 1960’s, this established community has recently seen a lot of new construction due to its prime location on the East-West Connector. Priced from the high-$300,000s, Traton’s homes at Estates at Ellis Wade will showcase a wide variety of home designs including the popular Knollwood and Glenstone plans. With four bedrooms and three bathrooms, the Glenstone home design is perfect for entertaining or everyday life. Open interiors showcase a family room with fireplace, gourmet kitchen with an abundance of cabinet space, formal living room/study, formal dining room, guest suite on the main level, large media room and a luxurious owner’s suite with large walk-in closet and dual vanities in the bathroom. The Knollwood home design offer space for every member of the family to unwind with four bedrooms and three-and-a-half bathrooms. Highlights of the main level include a family room with a fireplace, dining room, study/living room, powder room and gourmet kitchen with large island and walk-in pantry. Upstairs, homeowners will enjoy a spacious owner’s suite with a sitting room, private covered deck and bathroom with garden tub, separate shower and double vanities. Every Cobb County home built by Traton Homes in Estates at Ellis Wade will showcase upscale interiors with hardwood flooring throughout most of the main level, stainless steel appliances, granite countertops and tile showers and floors in the owner’s bathrooms. Situated off of the East-West Connector, adjacent to the Silver Comet Trail and the Highland Station shopping center, Estates at Ellis Wade offers homeowners an active and social lifestyle. Popular shopping and dining are just minutes away at Smyrna Market Village, Cumberland Mall and Vinings Jubilee. Commutes to and from work are a breeze with easy access to South Cobb Drive and I-285. To visit Estates in Ellis Wade take I-75 North to I-285 West. Travel 2.8 miles to Exit 16 (South Atlanta Road – toward Smyrna) and turn right onto Atlanta Road. Go one-half mile and turn left onto Cumberland Parkway. Travel one-half mile and continue onto East-West Connector. Go one-third mile and turn right at the stop light onto Gaylor Street. Contact Traton’s new homes representative for specific home site location and information. 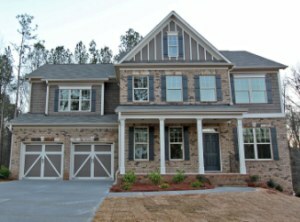 Estates at Ellis Wade, call Amy Kessler at 678-873-9263.